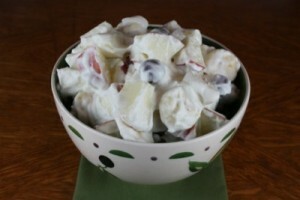 Fruit Salad recipe by Muznah at DesiRecipes.com. Mix cream cheese and condensed milk with electric mixer. Then fold in cool whip. Drain the fruit cocktail and mix it with cream cheese mixture.